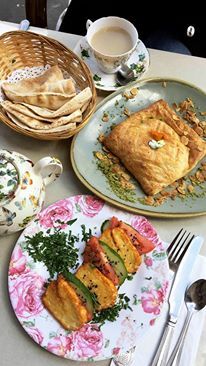 Fait Maison- Middle Eastern Food with a Trendy Twist • Tips, Trends & News in 60 Seconds or Less! 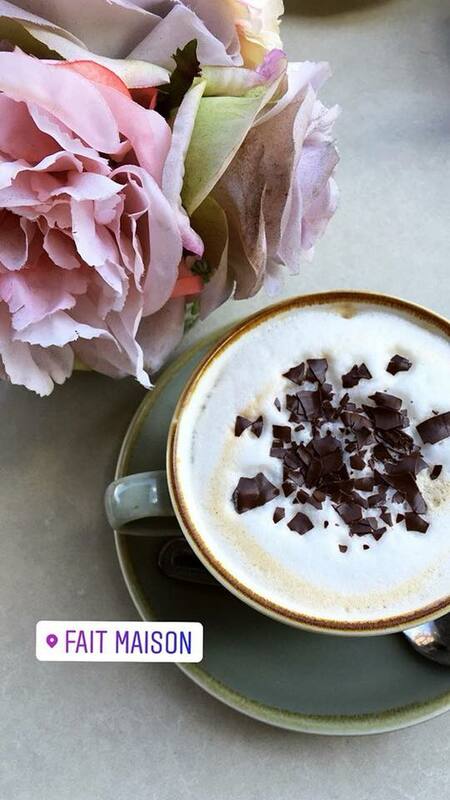 During my time abroad in London, I sampled quite the array of restaurants, but Fait Maison, a beautiful, flower-filled eatery in Kensington, stood out to me the most. The food was a fusion of Middle Eastern and French cuisine, from hummus, falafel and kebabs to macarons, croissants, and omelets. My friend, Nina, and I popped in for a midweek lunch and were seated immediately, choosing a breezy patio table. The posh restaurant nestled within the trendy area of Kensington provided a completely luxurious eating experience. For food, we choose cappuccinos, halloumi and tomatoes, and a flaky phyllo dough pastry filled with spinach and feta. Halloumi is a white cheese that is grilled yet keeps its cubed shape. It’s a London staple and at Fait Maison, a winning choice. The drinks were adorned with chocolate flakes and latte art and the food was prepared to be light yet satisfying. Fait Maison is a convenient five-minute walk from the closest tube station so there is no issue with scavenging for this café. 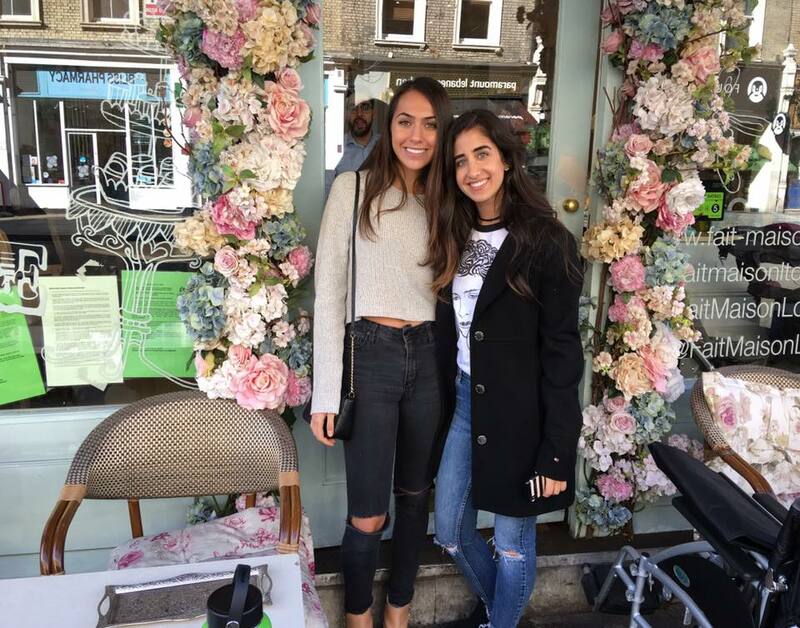 Next time you’re in London bring your girlfriends, dress up, and enjoy a posh lunch in West Kensington!